Please explore our site to learn a bit more about the incredible opportunities available at HSC. However, the true flavour of the HSC experience can only be gained by paying us a visit. You will see engaged and happy learners, students and faculty working together, students pursuing their dreams on the fields, in the gymnasia and in the theatre, or simply enjoying one another's company in the dining hall. 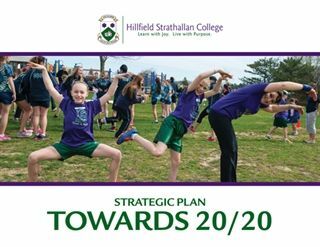 I hope you will join us to discover what makes Hillfield Strathallan College such an amazing place.